This seems like a natural fit for magazine people. Anyone interested in putting together a panel on magazine networks and network materiality, send an email by Nov. 11 through the About page. Chicago couldn't have been that different from Cincinnati. Liesl Olson will be giving a talk to the Modernism Seminar at Mahindra Humanities Center at Harvard. 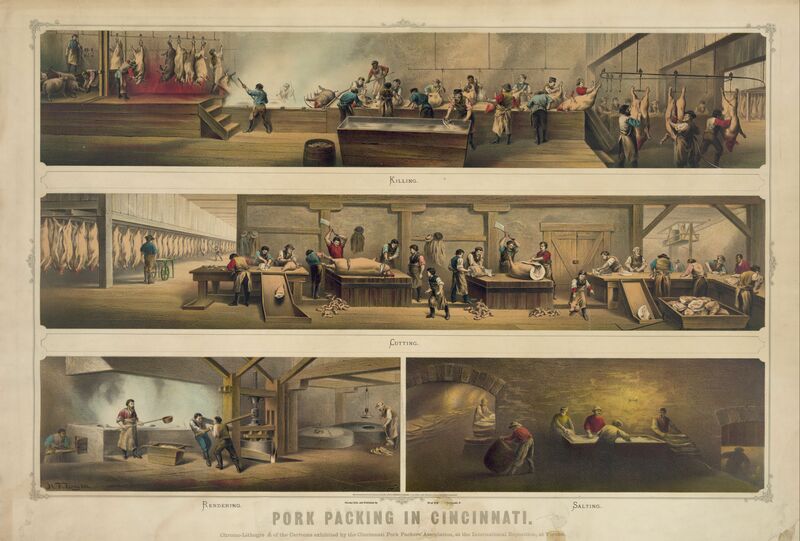 The talk, “Porkpackers and Poetry: Making Modernism in Chicago,” will be at 6pm on Wednesday, October 26, 2011 in Room 133 of the Barker Center. No word on whether sausages will be served. In tandem with the roundtable we put together at MSA 13, I’m happy to provide this document containing links to texts, sites, and software that will get you started on network analysis.